Earlier this month, on a Saturday, my son was baptized. It was great to help prepare him with FHE’s (family home evenings) by going through the “Preach My Gospel” manual and teaching him as my wife and I were taught not even a year ago by the missionaries. We started this process a few months before he was to turn eight and be baptized. From going to Church and Primary (Sunday School) for the past year, he knew lots of concepts already concerning the Plan of Happiness/Salvation and the things we must do to return home again, like: being baptized, following the commandments, taking sacrament every week. I took him to his baptismal interview the Tuesday before. (See: A Convert’s Survival Guide: What to Expect BEFORE your Baptism) I had learned that his Sunday dress shirt was missing so on the way home I ran into Wal-Mart and was in and out of the store in a record five minutes by sneaking in and out my secret location: The garden section! When I got home, I got him dressed and we were out the door in less than three minutes. We arrived at the Church about fifteen minutes early and we waited patiently outside the Bishop’s office. The Bishop finally arrived 25 minutes later and into his office they went to talk. I patiently waited outside for what seemed like ten to fifteen minutes until he called me in as well so he could fill out the records for his Baptism and Confirmation. I was impressed at the knowledge he divulged to the Bishop and his retention. He made me very proud. We happily visted McDonalds’ drive thru to pick up an ice cream cone and then we drove home. On Friday, we visited Deseret Book Store to get him his very own scriptures and carry tote. We ended up getting him a regular-sized quad which contained: The Old Testament, The New Testament, The Book of Mormon and Doctrine and Covenants. Also, we got him a CTR ring he wanted and I got a cool deal on my painting of Jesus that I talked about earlier this month. Saturday came up very quickly. Before we left the house, I felt my heart swell as I looked at him. He looked like “a mormonboy.” I never would have thought my children to be mormon, but now I can’t imagine raising my children without the gospel and principles we have. I have to admit, I didn’t go obsessive about preparing since I’ve been involved in two baptisms already: my own and I performed my wife’s. Extra change of underwear for my son, an extra pair of socks as well. For myself, I brought an extra undershirt, pair of underwear and socks. I went over with my son how our hands were to be intertwined, what I would say and how I he would plug his nose and I would put my hand behind his back to dunk him. [Calling him by his full name], having been commissioned of Jesus Christ, I baptize you in the name of the Father, and of the Son, and of the Holy Ghost. Amen. We arrived at the stake center a few minutes earlier than requested and we got changed into our jumpsuits. There was one more baptism taking place during the service, an eight year old girl from another ward. I was hoping I would go after they did so I could watch and be sure I was doing this correctly. This wasn’t the case, I was told that our family was going first. We followed the usual program that I wrote about before hand in: A Convert’s Survival Guide: What to Expect at your Baptism. I went first and took my son’s hand and led him into the font. The water was nice and warm and we set up as the little children ran to sit down on the floor in front of the font and watch. He wasn’t nervous at all, very happy. I wasn’t nervous at all either, I was guided by the Spirit and I baptized him. Immediately afterwards I could see a great, warm smile on his face. I was proud of him and gave him a little hug and led him out of the water. Now getting changed afterwards was a different story. It was a bit could in the bathrooms and the poor boy was shivering. I worked quick to get him dried off and dressed and sent him out. I followed shortly after changing as well. Then after they were done singing their interlude hymn, it was time for me to confirm him a member of the Church. This part I studied in the past and then again a few hours before his baptism. When I was first baptized, the man who helped us to learn the gospel and baptize me handed me a blue card with the prayers for ordinances that the priesthood can perform. I checked and double checked and studied this card up until right after my son’s baptism, right after getting changed. Again, it was time to confirm him a member of the Church. I looked at the attending Stake official and my wonderful Bishop to motion them up to help me confirm him. This was my first time confirming and I was very nervous. There was a lot of my non-member family members attending, some friends and the people supporting the girl that was being baptized as well. I was nervous. It all went away when I put my hands on my son’s head and closed my eyes. I was again guided by the Spirit in confirming him a member of the Church and giving him a blessing. The words coming out my mouth came out without any filter our any forethought. I even surprised myself by what had happened. After the confirmation, my son rubbed his eyes and got up with a smile and we all congratulated him before taking our seats again. 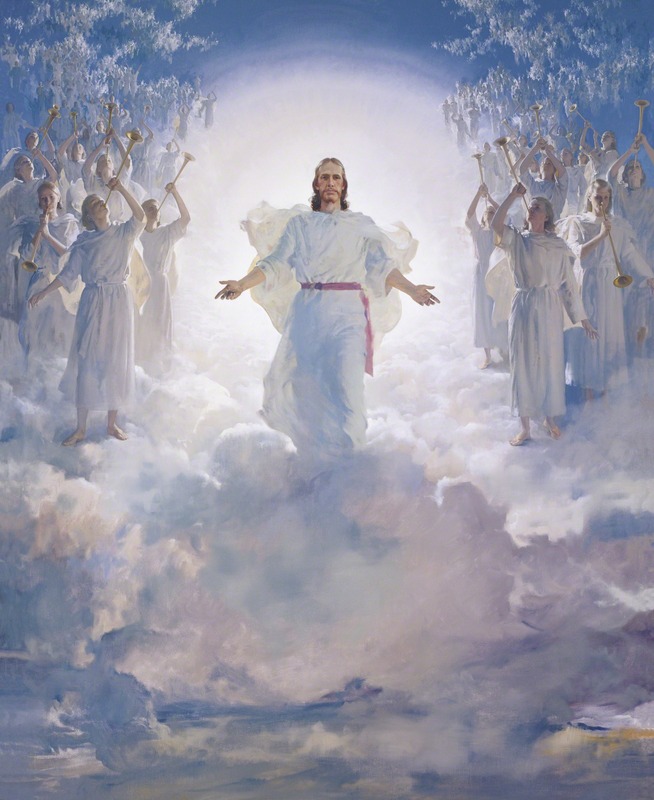 [Calling him by his full name], in the name of Jesus Christ and by the Authority of theHoly Melchizedek Priesthood, I confirm you a member of the Church of Jesus Christ of Latter-day Saints, and say unto you, receive the Holy Ghost. [Then a blessing as the spirit dictates]. See: A Convert’s Survival Guide: What to Expect AFTER your Baptism, to learn more about confirmation. Also in attendance was one of the missionaries that helped teach the us our original lessons a year ago and attended my wife’s and my own baptisms. The funny story about this was that we couldn’t get a hold of them to make it to the baptism and they were coming back from fetching lunch and decided to stop by the church since they saw some cars there and then upon closer inspection, our minivan! I want to be baptized every day! My heart swelled again and I was proud of him for the step forward he has taken. And I am also so happy for my wonderful wife and the support and growing she has been ongoingly giving to us all. I truly couldn’t do anything without her, she is my light in the gospel. She is my best friend and she knows me and what I need, as well as she knows all my sons and what they need as well. I am happy our family can be together forever and I am happy my sons has taken his first steps to make it back to our Heavenly Father. Ever since I heard this song sung by the Tabernacle Choir on the last General Conference, I really liked it and couldn’t get it out of my mind. They were available online for free and I had downloaded them before, but I didn’t like how it sounded in my car when playing off my iPod. A few weeks ago we went to Deseret Book Store and I picked up the Hymns CD. So I purchased the Hymn CD and burned them in iTunes. While copying it, I finally heard the song that I heard in General Conference: God of Our Fathers, We Come unto Thee – Hymn 76! I love how it is sung and also the words to it. You can here it for yourself by clicking here. “Choose the right” is also a hymn #239 in the Hymn Book. I was excited to see my son absorbing the message to choose the right (thing to do). I feel it is important to teach our children as much as we can before they reach the years where they will really be put to the test. Few Mormons will know his name, but most will know the artifacts that Douglas Coy Miles helped create and produce for The Church of Jesus Christ of Latter-days Saints – the CTR ring, the Duty to God award, Young Women’s medallion, the Relief Society pendant and Articles of Faith wall hangings. Miles, a natural-born salesman who died July 4 of congestive heart failure at 91, was one of those behind-the-scenes players who friends and family members say brought energy and enthusiasm to the church he loved. He was born in Baker, Ore., to Earl and Verdie Miles, third of four children. He served an East Central States LDS mission, 1936-38. He met Blanche Bowen, at Brigham Young University and they married Jan. 26, 1943. After the war, Miles earned a law degree from the University of Utah, which is where he met Marion D. Hanks, a future LDS general authority, who became his lifelong friend. The two taught early morning seminary together at Salt Lake City’s West High School during the late 1940s and early 1950s. They worked on a program to improve the guided tours on Temple Square. Hanks went on to other assignments with the church hierarchy while Miles remained a tour guide on the Square for some 20 years. Professionally, Miles established O.C. Tanner’s first national sales force. In 1955, he joined the L.G. Balfour Co. as national sales manager, and worked with Chevrolet and GM, creating original incentive programs. He soon used that expertise to help provide physical rewards for LDS programs. For the winners of all-church athletic competitions, Miles developed a trophy using a heavy round cast medallion (silver, gold, bronze) on an ebony base. To signify the completion of young women or young men requirements, Miles created little glass disks that could be glued on felt bandelos. When someone with the Boy Scouts observed that the LDS Church was the only religion to not have some kind of Boy Scout award or pin, officials asked Miles to develop one. When General Relief Society President Belle Spafford wanted to use the remaining funds in her budget to offer the church a lasting legacy, she turned to Miles for suggestions. He connected her with Bill Pera, who owned Kashaba Carpets.